Elegant Petit Maître in a light suit with brandenburgs, vest of Indian taffetas, trimmed with little steel buttons; he is coiffed with curls. 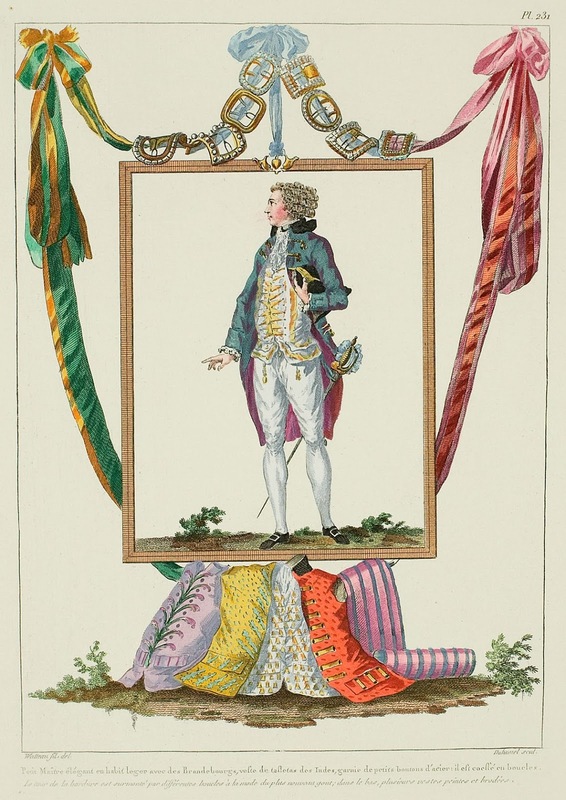 "The Elégants. - There are no more men of good fortune, that is to say those men who make it a glory to alarm a father, a husband, to carry trouble into a family, to make themselves exiled from a house with a great noise, to be always mixed in the news of women: this ridicule is passed, we have no more petits maîtres: we have the élégant. 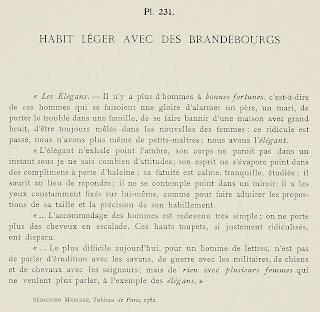 "The élégant is never frozen in amber, his body does not appear for an instant under I know not how many attitudes; his spirit never evaporates in compliments to loss of breath; his fatuity is calm, tranquil, studied; he smiles instead of responding; he never contemplates himself in a mirror, he has his eyes constantly fixed on himself, so as to admire the proportions of his waist and the precision of his dress.
" ... Men's hairstyles have become very simple: they no more wear their hair en escalade. These high toupets, so justly ridiculed, have disappeared.
" ... 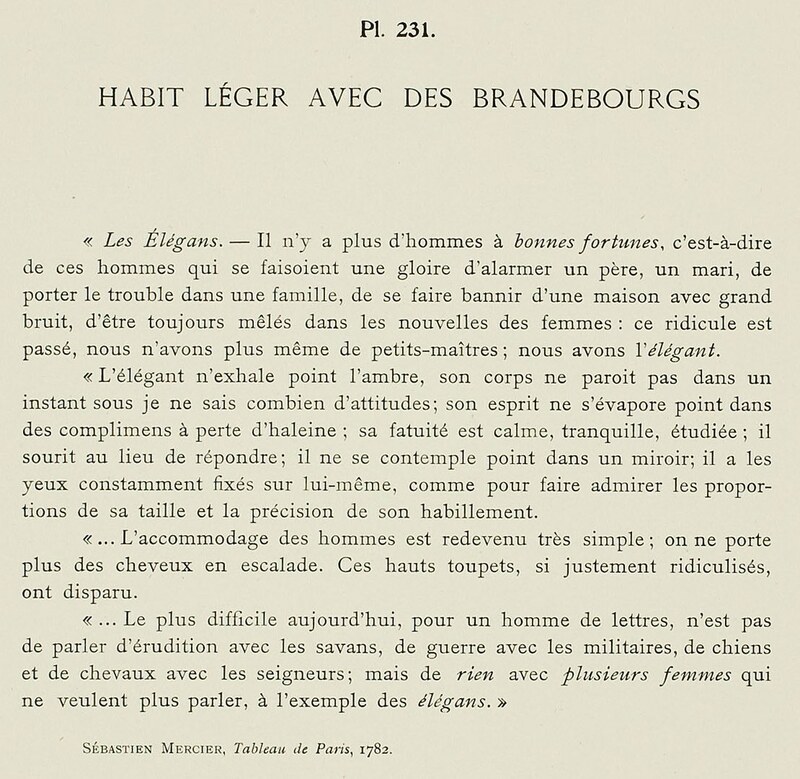 The most difficult thing today, for a man of letters, is not speaking of erudition with wise men, of war with soldiers, of dogs and horses with aristocrats; but of nothing with several women who no longer want to speak, for example of the élégans."